A few days ago when trying to come up with an idea for this month's Spring edition of the Power Tool Challenge (talk about flying by the seat of my pants), I was rummaging through my wood stash when I came across a bucket of antique chair parts. Taking a closer look at the pressed chair back, it reminded me of a butterfly. I stood staring at it while sipping my morning java and wondered what I could make with it. Just then I heard a bird chirping from the open window and that's when a lightbulb went off in my head. 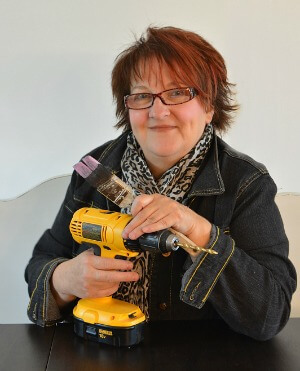 If you haven't heard of the Power Tool Challenge, it's a group of talented tool savvy, skill sharing female DIY bloggers who come together each month to empower our female readers to step out of their comfort zones and try simple projects they can make themselves using a power tool. Unfortunately, I don't have pictures of me doing each step because working alone and trying to take pictures was far too challenging. Also, note that the pictures may not appear to be in sequence with the steps. Why? Because I was making this project up as I went along and it wasn't until afterward that I realized a much smarter way of building it. So follow the steps in chronological order and refer to the pictures for guidance. Make sure you have a wood cutting blade on your jigsaw. If not, unplug the saw before changing the blade. Always secure the piece you are cutting with clamps onto a sturdy work surface. Wear protective eyewear - even if you wear glasses. Wear hearing protection when operating power tools. 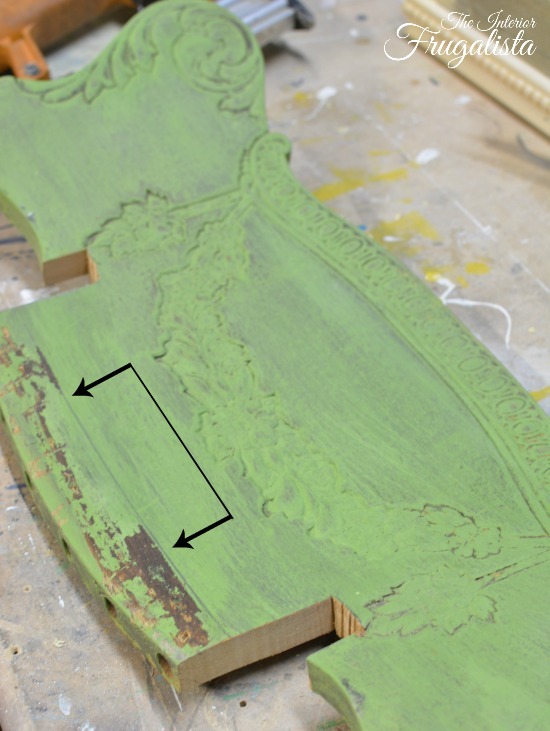 Start the saw first before making contact with the piece you are cutting. Take your time and do the cutting in stages if need be. Cut the bottom of the Antique Pressed Chair Back straight across (mine was cut 1-inch from the bottom). I used a jigsaw because, in all honesty, I'm still uncomfortable operating a table saw alone, especially making a cut on a curved piece of wood. 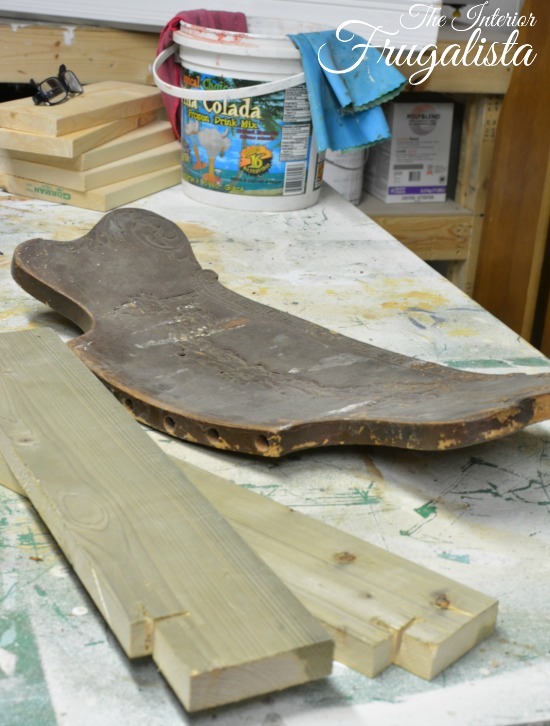 Cut a piece of pine board 5" x 8 1/2" - this is the base of the bird feeder. Now I'm not going to lie, it took some time to get the curvature of the chair back onto the base of the bird feeder so they fit perfectly when assembled. Hold the chair back upright onto the back of the bird feeder base. With a pencil, draw the curvature onto the wood. 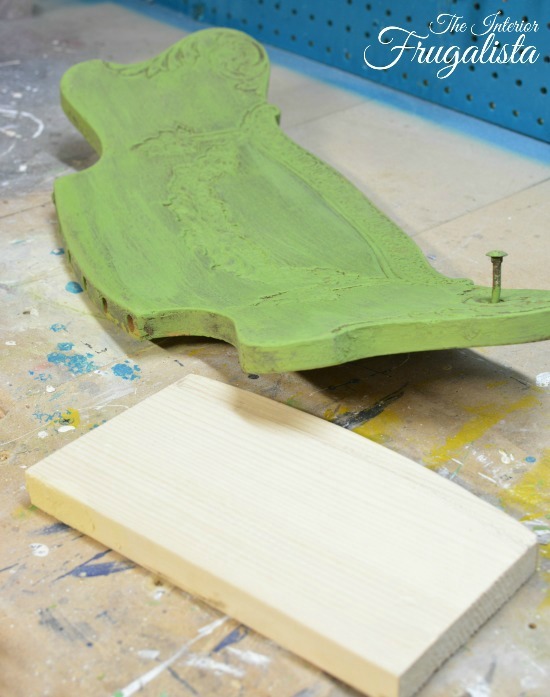 Using a jigsaw (make sure the wood is securely clamped onto your work surface) cut the curve. Take your time because cutting a curve can be a little more challenging. Chances are it won't be a perfect fit. If yours was, hands up in the air from me to you! This is where a mouse sander comes in VERY handy. Slowly work away at the parts that need to removed until it fits nice and snug against the chair back. It took me several attempts to get it right. 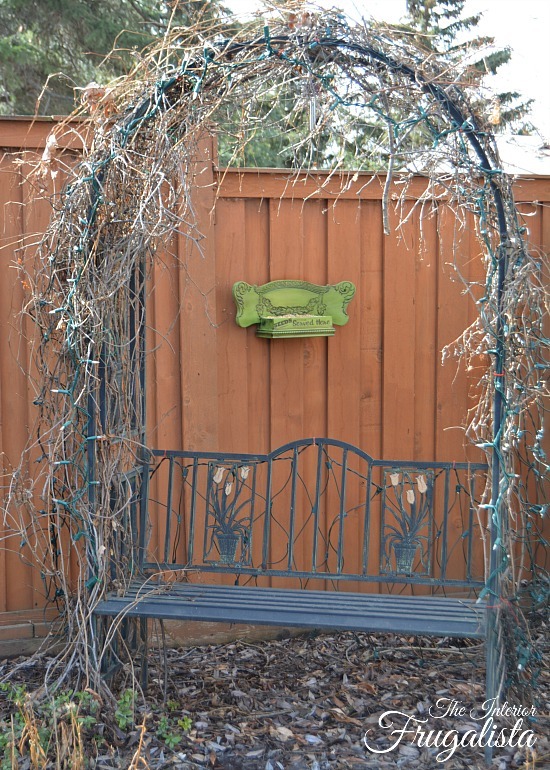 The goal is to not have any gaps between the bird feeder and the chair back or the seeds are going to runneth over. I used my miter saw to cut these. Note: I had some cedar scraps and grabbed those instead. In hindsight, I would have preferred using pine to match the base. Both types of wood were the same thickness so all is good. 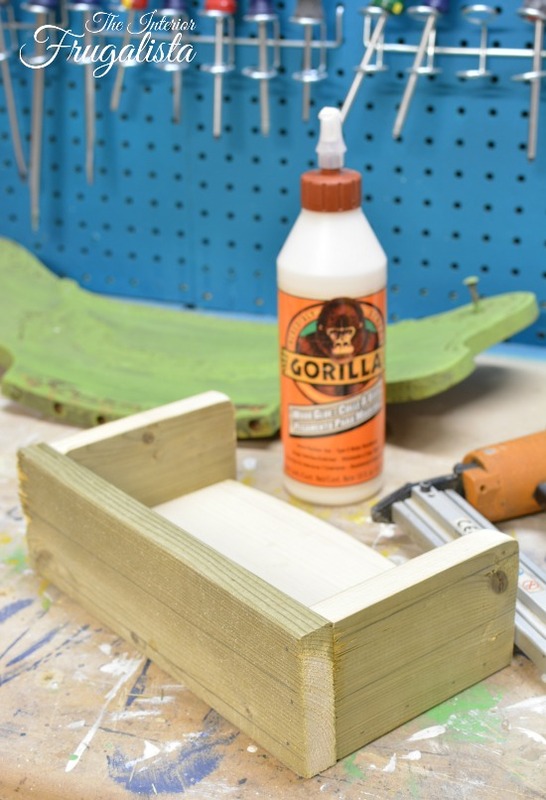 I applied Gorilla construction glue onto the bottom of each piece before assembly. Using a brad nailer with 1 1/4-inch brad nails, I attached the pieces from the bottom of the base. Clamps will be your friend for this part to hold all the pieces together. 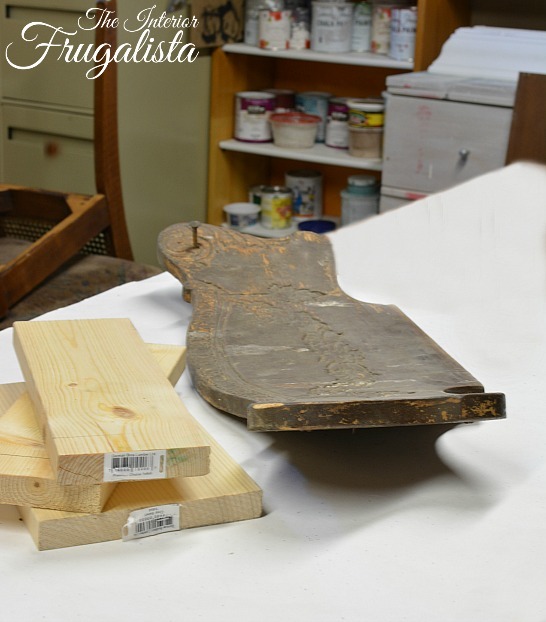 I had some wood trim in my stash with a similar profile as that of the chair back. Using a miter saw, I cut the corners at 45° angles and glued them around the base of the feeder, I then secured them in place with the brad nailer. 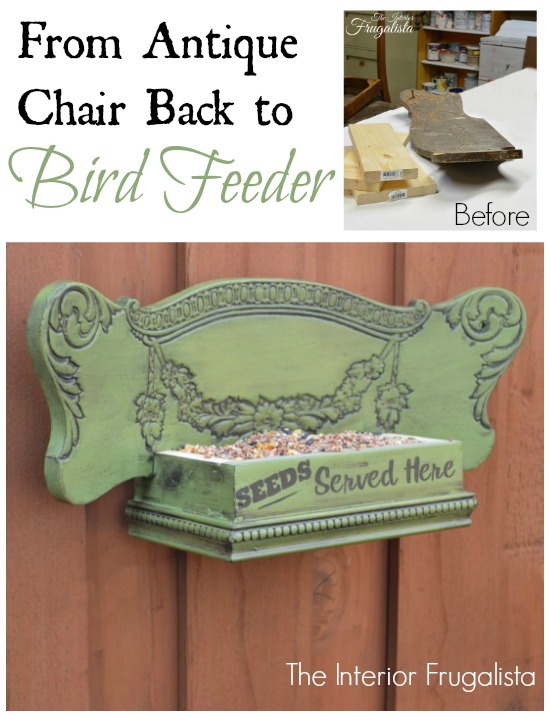 Hold the bird feeder up against the chair back and mark where your sides meet up with the chair back. Mark the notches with a pencil. Mine are 1" wide x 3 1/4" high. Using a jigsaw, cut out the notches. Again, secure the chair back onto your work surface and take your time. You want to first make the two end cuts. Then make thin slices all across the middle up to the top mark (see picture below). 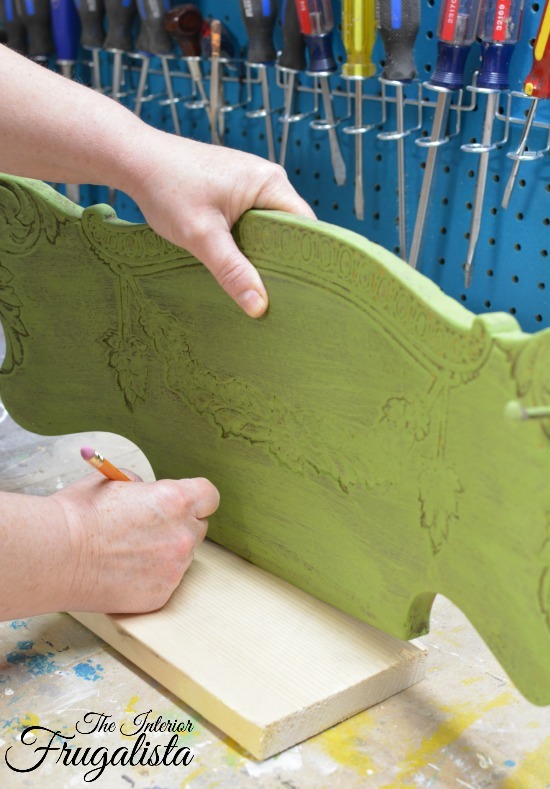 With a 1-inch chisel, remove the slices. Repeat this on the other side. Apply glue to all the parts of the feeder that will make contact with the notches. Slip the feeder through the notches and attach with a brad nailer. Run the mouse sander over all of the edges and the where the sides slip through the chair on the back to smooth everything out. 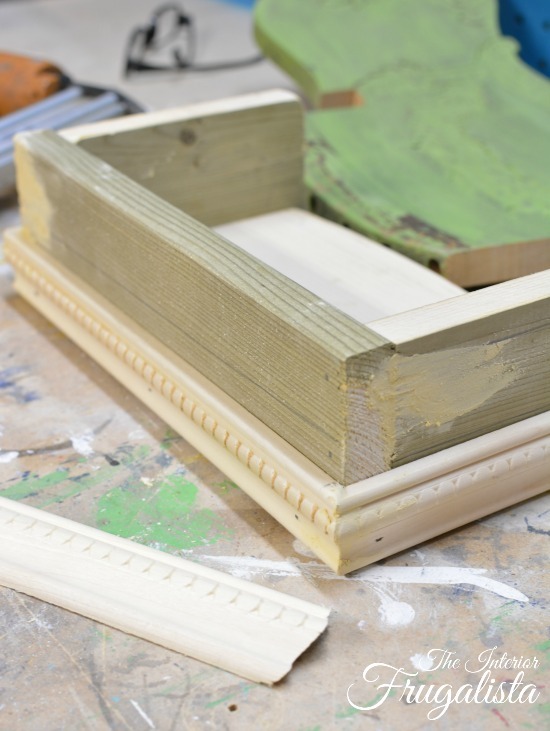 Apply wood filler to all the joints and sand smooth once dry. Sorry, I did take a picture of it all assembled before painting it but I must have accidentally deleted it. You get an idea of how they fit once assembled in the picture below. For the safety of the birds, the inside of the feeder was kept natural. 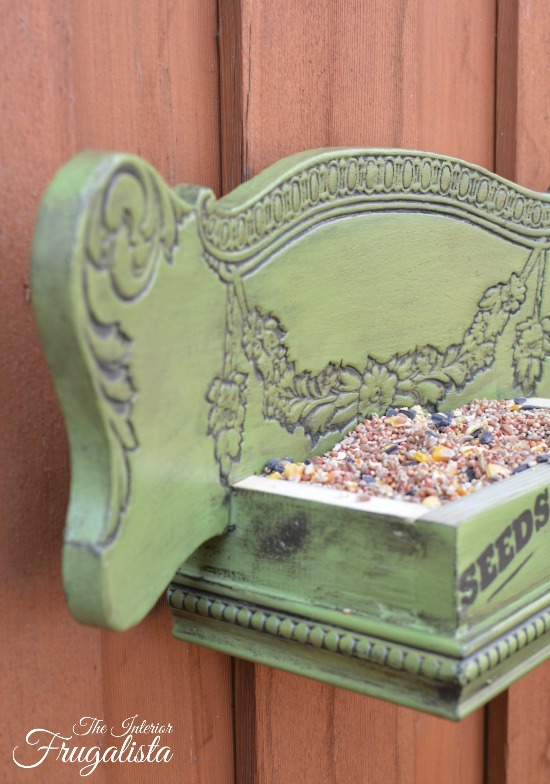 The rest of the feeder was painted with chalk paint, which has low VOCs (Volatile Organic Compounds), in the color New Life. 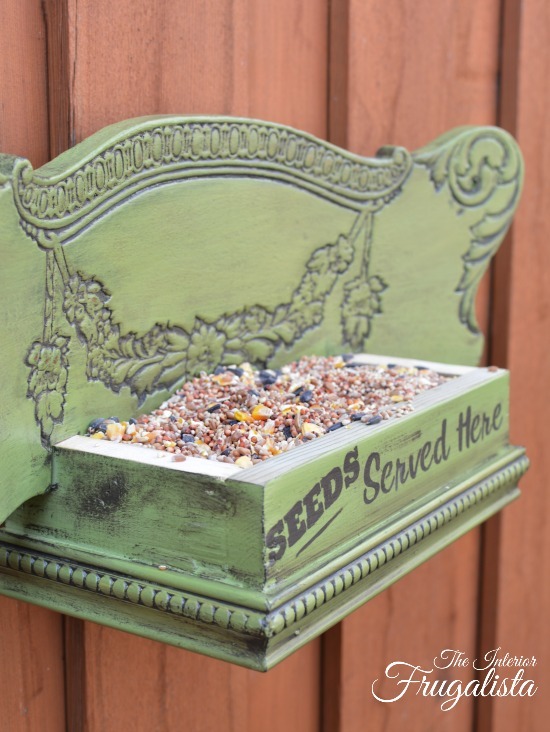 According to some research studies, green bird feeders attract the most birds. 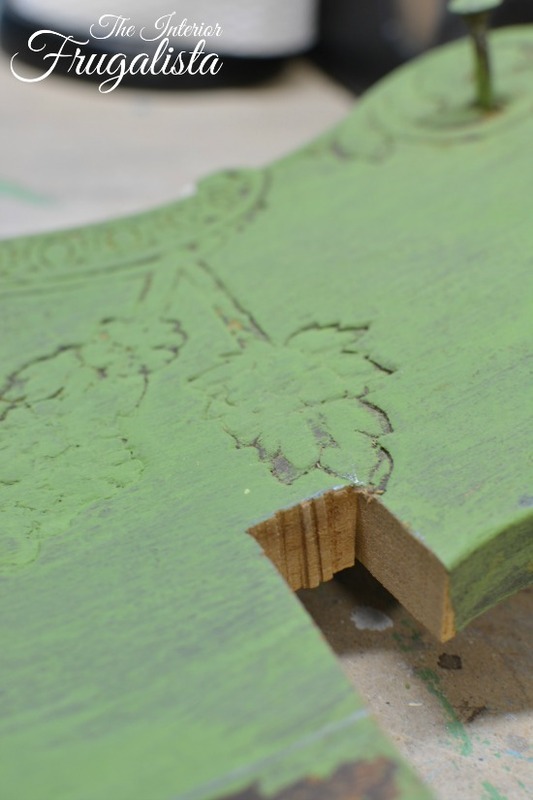 With a small stencil brush and chalk paint in the color Dark roast, I got paint into all the details using a circular motion and wiped away the excess. I love how the paint made all those details pop! Once dry, I applied two coats of Tough Coat protective finish (which is suitable for outdoor use) on the painted surfaces ONLY. I had to add fun typography onto the front of the feeder. The "served here" is part of a stencil from the Funky Junk Interior stencil line. 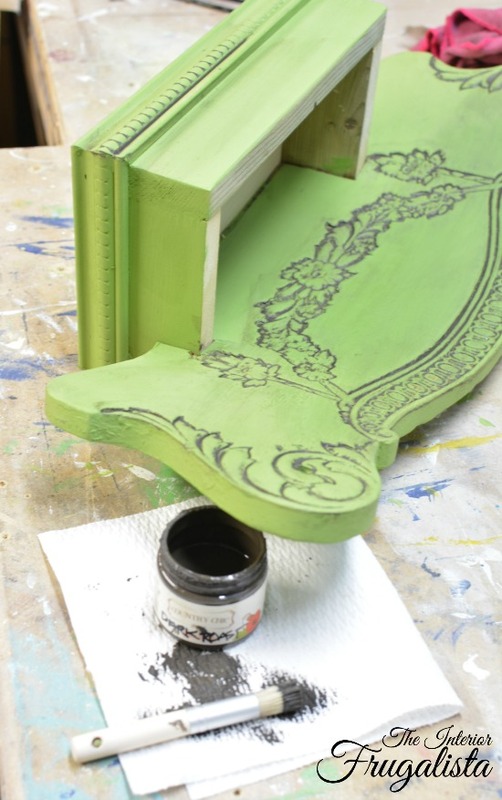 I used the same Dark Roast chalk paint color from Step 9. The "SEEDS" graphic I made in PicMonkey and printed it onto bond paper. Using carbon paper, I traced the letters onto the wood. 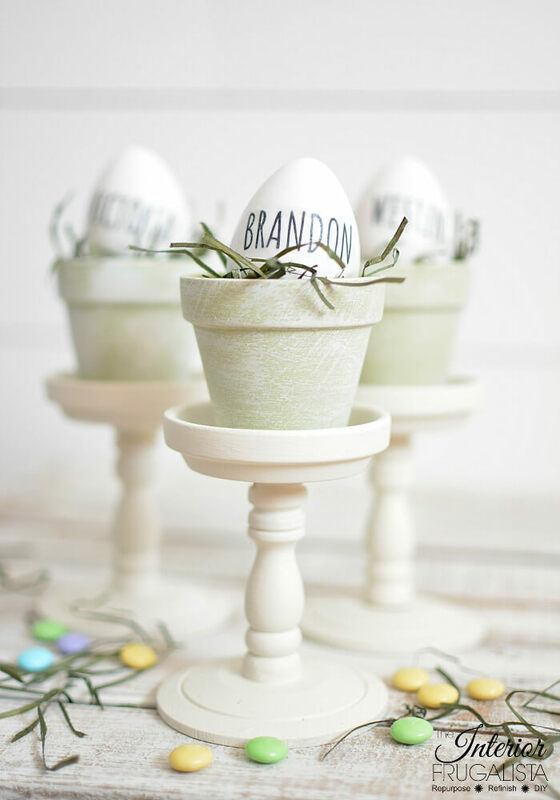 With an art brush, I painted each letter with the same Dark Roast chalk paint. Measure to find the center of the chair back and mark it with a pencil. Attach a D-hook onto the back. The bottom of the D-Hook measures 2 1/2-inches from the top on mine. Step 12: Hang that baby! Hang it from a fence or tree. 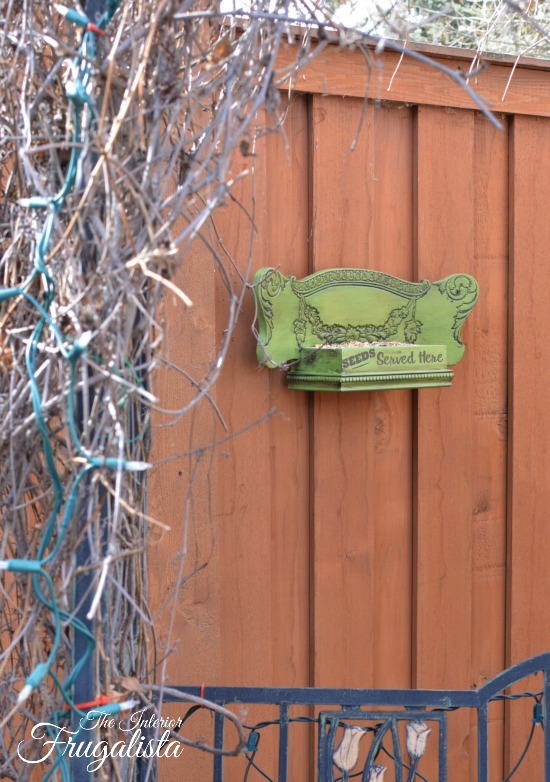 I hung mine from our fence far away from normal foot traffic so the birds won't be scared away while enjoying their feasts. Eat little birdies while I enjoy watching you from afar! 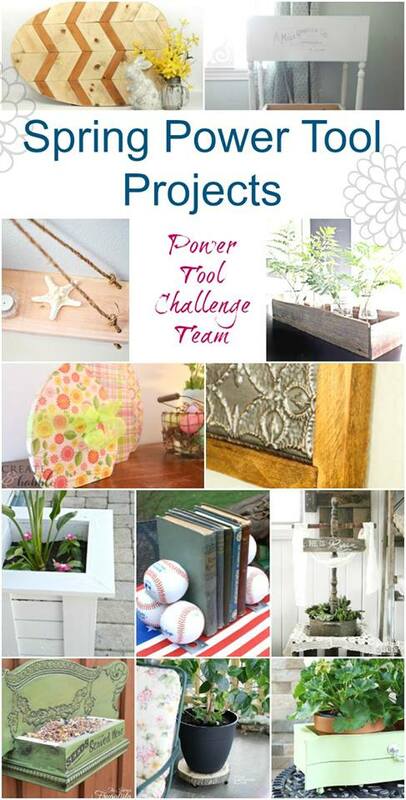 Now it's time to see what my talented friends made for the Spring Power Tool Challenge. Please press the links below to see what my talented friends have created for Spring. 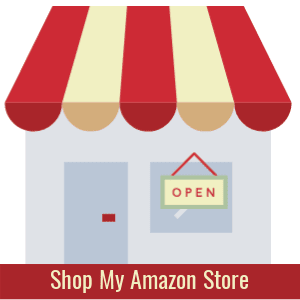 *affiliate links included - see my disclosure policy. You'll find this project linked up at these PARTIES.